Last Sunday, driving between this church and the Church of the Good Shepherd for our Advent Lessons and Carols, I found myself surrounded by cars proclaiming prophetic messages. I still find that surprising. I grew up in a much more secular country than this one. It’s also a lot more expensive to customize a license plate there, so it would be almost unheard of to find the prophets of God driving their messages down the highway on the bumper of their cars. The ones that frustrate me are the ones with random bible verse references. I feel as though I am supposed to know the words to which they refer, but I don’t memorize chapter and verse numbers easily, so instead I have to remember to look them up when I get home, and sometimes they are so obscure that I can’t for the life of me work out why someone would take the trouble to display them in heavy traffic. But the messages that surrounded me last Sunday were pretty clear. Now, I don’t know the story behind the decal, so I will try to reserve judgement, but I couldn’t help feeling just a little as though they were beginning to drift off-message towards the end there. What’s worse, they started out using their space, their presence, everything at their disposal to proclaim that Jesus is so awesome, but they ended up using Jesus, using the gospel, to advertise themselves instead. But then, the SUV-driving lawyer decided they needed a change of scenery, and shifted over to pull in behind me, and I thought of my own bumper sticker: God Loves You. No Exceptions. And I wondered what the lawyer read into that. After all, people do read, and decipher, and evaluate, or judge, the signs and messages we put out about ourselves, about God, about Jesus and the gospel. My own little sticker has provoked a few casual, brief conversations. It’s even provoked the occasional mild outburst of road-rage – at least I don’t think it was my driving. Last Sunday’s brief encounter with the messengers of God at a stop light made me think about the messages that we send out to those around us, in every encounter, whether we mean to or not. Are they clear? Are they internally consistent? Are they faithful? Do they proclaim the gospel of Jesus Christ, not of Rosalind Hughes? Do they prepare the way of the Lord? We are messengers going before Christmas during Advent. I am not suggesting, like Micah, that we all need to act like refiners’ fires, purifying the metal of the people to make of it acceptable ornaments for the household of God, although if you know that you are carrying some dross and sin, there has never been a better time to repent, come clean, sweep out your own soul ready to receive Christ. But I’m thinking more about that voice crying in the wilderness, “Make straight the paths. Smooth the rough ways.” We who live in what can often feel like a wilderness; we are the ones invited to clear the ground, to manage our eternal infrastructure, to build a highway to God, to remove all obstacles to the gospel, so that the most weary and furthest removed and least likely to look up will see and know the coming of Christ, and have a chance to rejoice. It is our calling to be straightforward about the faith we have received: to be honest, that we don’t own the glory of God; that we don’t have all the answers; but that we trust in the gospel of Christ, clinging to it like a life preserver at times; trusting that God is with us. It is our calling to smooth the way for people to come to Christ, offering our company, a ride, a shoulder, a seat at the table, a translator, an ally: whatever is needed to remove the obstacles and ease the passageway for weary feet. It is our calling to cry out the goodness of God in Christ; not as a way of advertising our own services, but for the sake of the gospel itself, because we know that life is better with God, that we are comforted by the Sacraments of Christ, and the communion of saints. At coffee hour today we’ll have the opportunity to create and post a message from God: of hope, of love, of mercy, for those who use this building to find. Some of them come with no hope or expectation of finding Jesus here. Let’s let them know that God loves them, no exceptions; that God is here for them. Just as my little bumper-stickered car found itself surrounded last Sunday by signs and indications that God was at work all around this city, so we are not only the messengers, but we are the people in need of a good word ourselves. And God has us covered. This is not an idle promise. Throughout the ages, God has raised up prophets to prepare the people for the coming of God’s glory. Throughout the generations, God has sent messengers to announce good news, to declare that God is with us. We should expect God to show up, especially now, in Advent, when we are supposed to be looking for the signs all around us that God is with us, born as one of us, as close as the palms of our own hands. Expect God. I think that should be my next bumper sticker. Expect God to show up in the first cry of a child, in the last gasp of hope. Expect God to be with us on the journey. 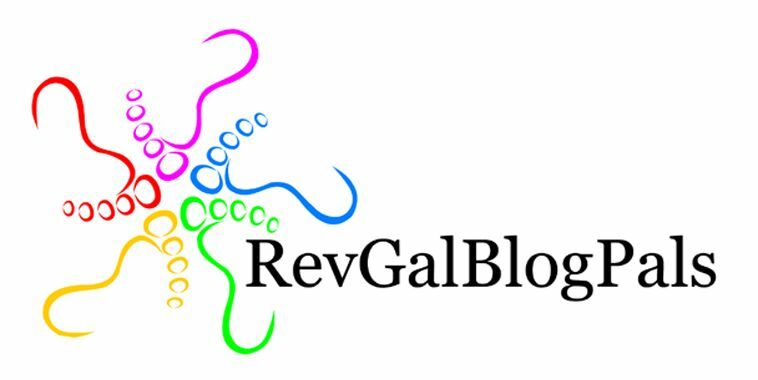 This entry was posted in Advent Meditations, lectionary reflection, sermon and tagged Advent, bumper sticker, Christmas, Eva ngelism, God, Jesus, Year C Advent 2. Bookmark the permalink.